At this point I’m thinking the Q&A video won’t be until this weekend. I didn’t have anything to add to the joint branding conversation, but I’ve been thinking it over. I wanted to read the exact wording from the first ii shows. Thanks to dizzy for the transcript! P: I might want to make this not-hamster documentary. 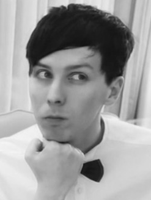 D: And I don’t want to follow Phil down that path. Before that happens, that is why we wanted to have this opportunity to actually interact with you and feel like we had a conversation, we saw your faces, we managed to bond with each other. P: Yeah I was saying I might make a documentary about odd socks. Where do the other socks go? D: And we all support him. But I don't need to join him on that adventure, right? 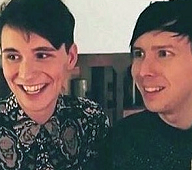 D: But before that, while we're all here today we want to let you in, to like the real Dan and Phil connection. P: The raw, intimate connection. D: Literally, stop saying intimate. P: I didn't make it better by putting raw in front of it, did I? This combined with their talent profiles now being separate with different specialties and separate representatives to me indicates that they want to move towards their own careers. However I still don’t think you can say joint branding (not content) is truly dead unless the gaming channel never comes back. And even then there are still possibilities for joint projects like a podcast or games. But it likely won’t be as dan&phil tm as we have grown accustomed to. 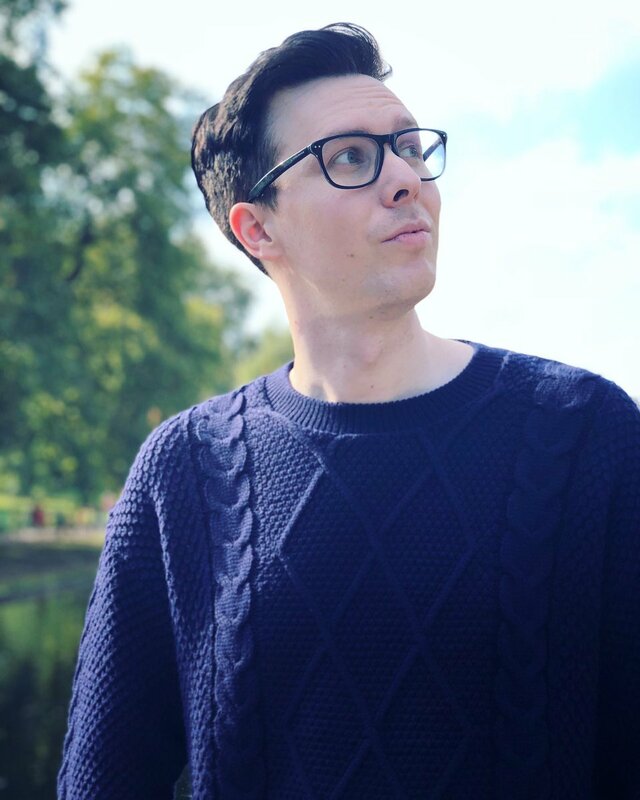 I can definitely see Dan going down a more serious route continuing to support mental health and anti-bullying campaigns and possibly politics and social justice. While I don’t think he will ever stop with the self deprecating humor (especially on Twitter) the days of Resons Why Dan’s a Fail are long behind us. TTLMT’s scene with him wondering how he became a sad clown supports this. Whereas Phil seems happy to keep it light and fun. We may see more games from just him and I would love for him to do a documentary on not-hamster socks. Follow those rainbows boys! I'm glad I'm not the only one expecting that. Kevin Abstract also just released new music. I would have loved a waffly live show this week. @autumnhearth @noodlebum Interesting to read that again. I think you're right that the days of "Dan and Phil TM" could be behind us, and the tour always gave me the impression of a "last hurrah", precisely because of things like these they said. But I find it really hard to get a sense of where they want to go. I could see them doing radically different things. One thing I found remarkable: Phil revealed in a video a while ago (can't remember which one exactly, fake fan) that he really doubted between becoming a youtuber or accepting an offer he got from a studio. That makes me think he might pursue a differnent passion, maybe something that's more related to movie/cartoon making. It wouldn't be completely foreign to them, he has some relevant skills as producer. Dan too has talked about other things than youtube. Maybe he'd like to go back to college. He's done little solo projects like the Supergamers documentary. They sure have the finacial freedom and maybe also the intent to move on to new pastures or, if they wanted too, basically rest on their laurels and be extremely selective about projects they want to engage in. But maybe the change they want is more gradual. Phil has resumed making video's, and with the volutary paid subscription model he adopted, the youtube platform might still capture (a large part) of his professional commitment. Dan might focus further on non-professional activities or return to youtube with an entire new take on his style and content. The joint content might just resume under (a changed) DAPG or they might just look for other things to do together. Frankly, I suspect they want to change up a couple of things at least. I think they sense and feel like there's some rust on the D&P brand. 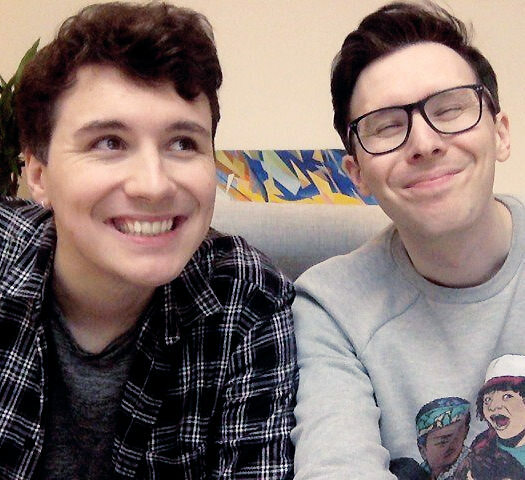 I don't think they were always happy with how people considered them joined at the hip, even if for all kinds of reasons "the happy accidental adventure of Dan and Phil" has been their main focus and the prism through which they are bing viewed by many. teenie tiny mod note: if you're running into weird errors when trying to post, please reach out to myself or any of the other mods. we're actively digging into this issue. thanks everyone! still working through it, but appreciate the PMs we got. I would guess it's this one from All Saints (black with white stripes, instead of his white one with black stripes!). Pretty sure that's them coming back from seeing PJ and Sophie. If they have kept the filming flat and aren't moving, that actually convinces me that the gaming channel/a joint content channel isn't dead at all. Because with Phil moving his set up, there's no reason for them to hang onto an extra place if there's nothing being actively filmed in it unless they know at some point soonish (soon enough to keep paying rent on it) there will be. That's the filming flat. Right? I'm sorry to say that I'm starting to be doubtful about the moving theory, buuut maybe they'll surprise us. 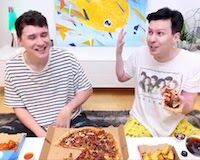 I never thought they'd let go of the filming flat while still living upstairs, so them having both doesn't change anything to me, but I do wonder why they removed (some of) the props from the flat, and why Phil moved to this super tight filming space. I agree!! I also believe that they would keep the filming flat regardless of their plans, because they wouldn't want to still live in the building while that flat goes up for rent. Looks like moving hill is ready to cave in. I'm more excited about this video than i have been for one of Phil's vids in a pretty long time, mostly because i hope (expect?) him to divulge at least a little bit of information of the state of the hiatus, or possible future plans. Or maybe it's just 15 minutes of him splashing water in his face. Could that story be about his much asked about skin routine? That's a valid point! I still think that this setup isn't long term for them, but it took them six months last time between deciding to move and actually moving so I've never really put a specific cap on when I think it'll happen. I think you're right that they wouldn't wanna risk fans poking around or even potentially renting it (I mean, that'd be fans with some deep pockets, but who knows) while they live in the building. You're right. I thought it was "commonly accepted" that the one pictured is in the filming flat, but i guess we have know real way to know for sure.